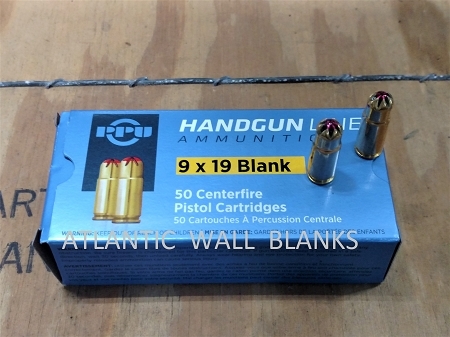 9mm blank is a military pressure round designed to be safe in the pressure intolerant P-1/ P-38 family but strong enough to give good sound / flash in all 9mm weapons. Sound simulates a live round. Perfect for general use in all 9mm pistols and sub Machine guns. Recommended BFA for pistol is .187 (3/16) . SMG is .125 (1/8) with 10 inch barrel. Browning Hi-Power and P-08 Luger pistols will need a stronger blank to function. For these weapons use this blank.